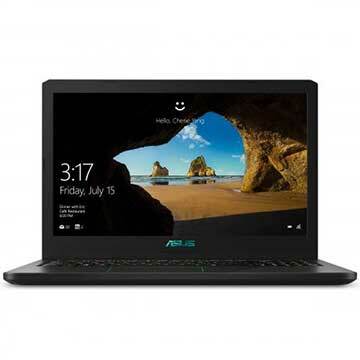 If you are looking for Asus VivoBook K570UD-DS74 driver, then here are ASUS K570UD-DS74 drivers for Windows 10 64 Bit you can download and install to let your laptop work properly. ASUS K570UD-DS74 is a 15.6 laptop powered by 8th Generation 1.8GHz Intel Core i7-8550U quad-core processor with integrated Intel UHD Graphics 620 video card and discrete NVIDIA GTX 1050 graphics card with dedicated 2GB GDDR5 VRAM. This notebook comes with 8 GB DDR4 2400MHz SDRAM system memory and 1TB (5400 RPM) HDD + 256GB SSD to store documents. This Asus VivoBook K570UD mobile computer features 802.11 AC Wi-Fi, Bluetooth V4.1, ype C USB3.0 port, USB 3.0 port, HDMI port, micro SD card reader, Stereo 2 W Speakers with ASUS SonicMaster Technology, VGA webcam, and 3-cell Li-ion 48 Whrs Battery with up to 10 Hours movie playback battery life. Operating System : Windows 10 Home - ASUS recommends Windows 10 Pro.